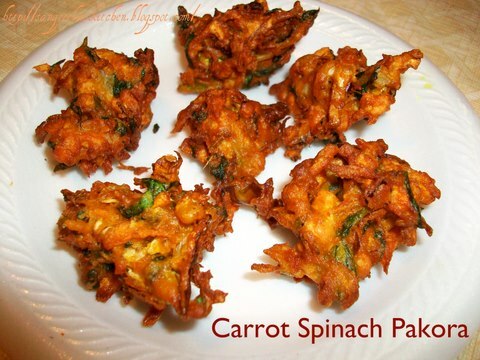 This is simple n quick appetizer recipe..same like onion pakora ,i used more carrots n spinach n cabbage with less onion.Very yummy ,healthy n crispy snack for tea time munch.For me i tried frying in paniyaram pan with only 1-2 drops of oil...that also tasted so good n low calorie rt?? 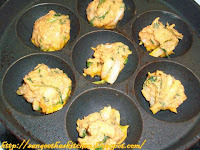 In paniyaram pan it takes more time to cook other than that nothing differs in taste..equally good. 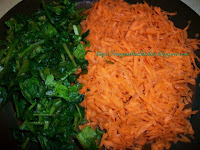 Wash n shred carrots ,chop the spinach ,cabbage,onion ,green chilli n ginger and keep aside. 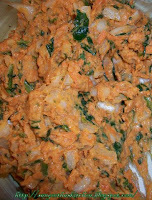 In a mixing bowl add the ingredients from "carrot to salt" and mix everything well. If necessary just sprinkle very little water n mix this to a thick dough. Heat oil in wok for deep frying,when oil gets hot just prick small amount of dough say a 1tsp n drop carefully in to the hot oil n fry till turns crisp n cooked well. Remove from the oil,drain it in paper towel n serve with a cup of chai/coffee.. In case of frying in paniyaram pan, just drop very little amount of dough in each groove n cook in medium heat. After 2 minutes turn other side n cook till crisp n cooked ...test by inserting tooth pick ...inserted toothpick should come out clean n dry. Healthy one instead of frying in oil. Yummy to look. cashews for crunchiness or to taste? The first pic makes me drool... so crispy and yummy. Can't wait to try! 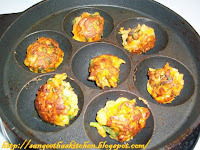 hey sangee thnX for the lovely entry :)...I just tried your tip for idli batter, I'll upload photo soon. they turned out really good. Thnx for the helpful tip. Very delicious and healthy preparation using carrot and spinach. Looks great. 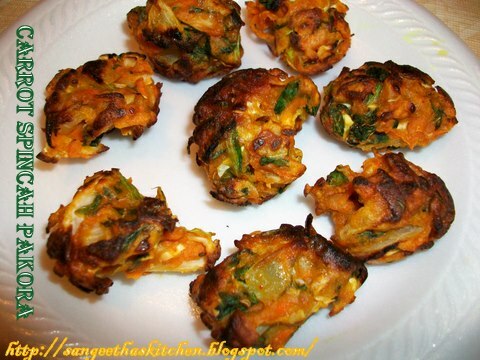 So healthy and crispy pakoras. Simple n yummy healthy snack!! Healthy snack with spinach and carrots. Cant believe these were not deep fried sangee... such a lovely color!! wow. looks so delicious.try it soon. wow wow.. sangee.. love tthe paniyaram pan version.. will sure try !